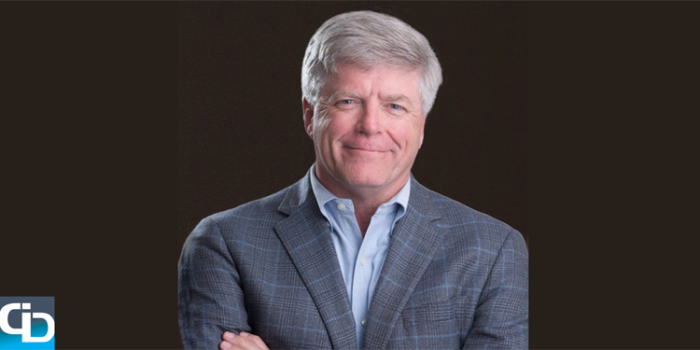 Tom Davenport is a Professor at Babson College where he was just named the President’s Distinguished Professor of Information Technology and Management. He is also a Research Fellow at the MIT Center for Digital Business, a Senior Advisor for Deloitte Analytics and has authored or co-authored over 15 books and more than 100 articles. To say that Tom is a big voice in Big Data is a big understatement. Tom spoke with icrunchdata to discuss his career in analytics and research, how metrics in sports analytics should be implemented into business and his team, the Boston Red Sox. You’ve been a Professor at Babson College in Wellesley, MA for the past 11 years. What’s been the biggest shift in teaching analytics since you started at Babson College in 2004? When I started at Babson, the only teaching of analytics was with regard to technique. But now we (and several other schools) have courses on how to create an analytical organization, how to compete with analytics, etc. And there are a lot more interested students in these topics! You wrote an article on Dell’s “cube farm” in Round Rock and how uninspiring the location is for millennials. You also recommended to Michael Dell that he invest in offices in downtown Austin, preferably by the river. You highlighted Boston but what other cities are doing a great job of attracting companies and therefore millennials to their downtowns and is Austin one of them? Yes, I think Austin is widely regarded as a cool place to work, particularly downtown. San Francisco, of course. Boston—both in the newly-developed “Innovation District” and in Cambridge, particularly Kendall Square. Brooklyn is getting hot, both as a place to live and for startups. You taught at UT in Austin from 1994 to 1998 when the city was still pretty laid back. Fast forward to today and what are your thoughts when you drive around downtown and see the high-rise condos and construction cranes everywhere? When I was there, and still today I think, there was this slogan, “Keep Austin Weird.” It doesn’t feel nearly so weird or funky anymore, unfortunately. I am glad that the city is prospering but I worry that it is losing its distinctive character. What restaurant is a must when you get back to Austin? I don’t even have to go into the city—I just get BBQ from the Salt Lick at the airport. It’s my favorite airport restaurant in the world! You’ve been in the Research and Analytics field as a Professor and Advisor for your entire career. Did you ever consider a different career path? I started as an academic sociologist—and one of my specialties was sociology of religion! But I didn’t like just sitting in my office writing papers that perhaps four or five other sociologists would read. I had worked a lot with statistical computing in graduate school, and so I moved into that area—first as a manager at Harvard Computing Center (a very ugly building, now thankfully gone) and then as a consultant and business school academic. You frequently write about sports analytics and you are a big Red Sox fan. What’s a bigger sports moment for you? The Red Sox comeback in 2004 against the the Yankees in the ALCS or the sweep of the Cardinals to win the World Series that same year? Definitely coming back against the Yankees. My wife had a big birthday party for me on the night of the third game, which the Sox lost 19-8. I was so depressed that I could hardly watch the next game, which we won—then we won all the rest, of course. Beating the Cards and winning the first series in 85 years was pretty dramatic, but almost an anticlimax after the AL Championship against our classic rivals. What are a few sports analytics startups that you are keeping a close eye on? I decided after moderating a panel at the MIT Sports Analytics Conference last year that there was too much competition in the sports analytics space—so now I only talk and write about the implications of sports analytics for business. Part of success in any endeavor is knowing when to go into a different field! I think there is a lot of potential in taking analytics ideas from sports and moving them into business. My favorite candidate for this now is plus/minus analysis, as used in the NBA. 49ers linebacker Chris Borland just announced his retirement from the NFL after just one year in the league because of his concerns with the long-term impact of football-related head trauma. How do you see analytics playing a part in player safety and more specifically, concussions in the NFL? I think we will shortly have sensors on every helmet that record the severity of hits and transmit them to the sidelines. Safety analytics have been a backwater in every professional sport, but the players should force them to a much greater level of importance. That's a perfect topic to end our discussion on. Tom, thanks for taking the time to discuss your career in analytics, your thoughts on inspiring employees and how there is a lot to learn from how analytics are being used in sports.